Apocalyptic-Rodent-Pop from Brute Love and ‘Seqs and Drums and Rockin’ Synths’ from Butsenzeller. 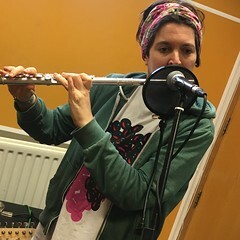 This entry was posted in dexter bentley, hello goodbye show, Hello GoodBye: Playlists, resonance fm and tagged brute love, butsenzeller, dexter bentley, hello goodbye, resonance fm. Bookmark the permalink.